You are working on multiple queries and seeing results. You want to see the queries and result windows at the same time in SQL Server Management Studio.How can you do that? 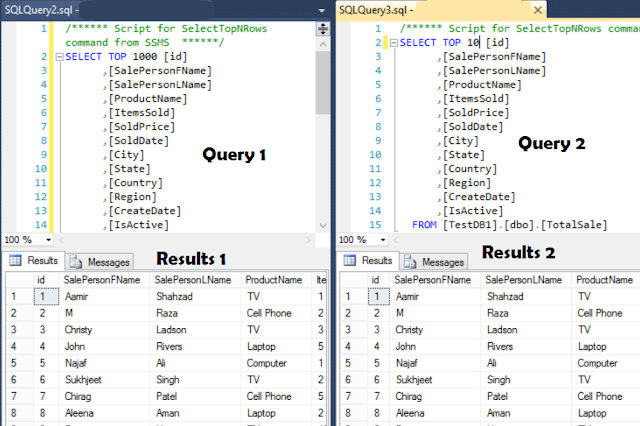 This is really helpful feature of SQL Server Management Studio(SSMS), specially while debugging our scripts and comparing results. 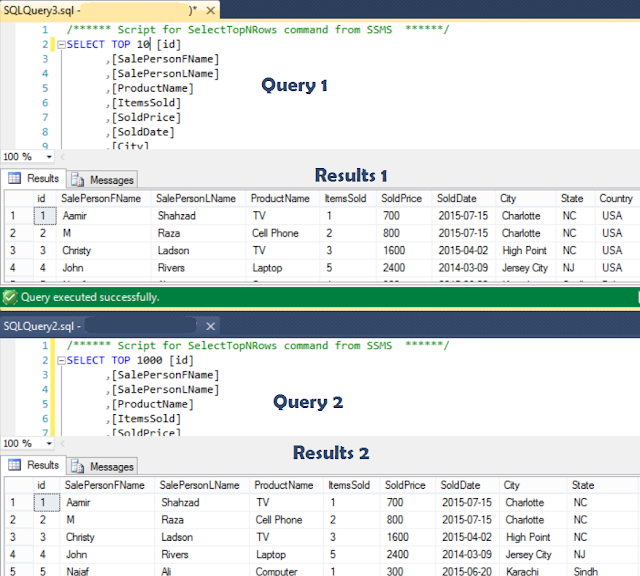 By default in SSMS, When you click on Query Window, only results related to that query window will show. 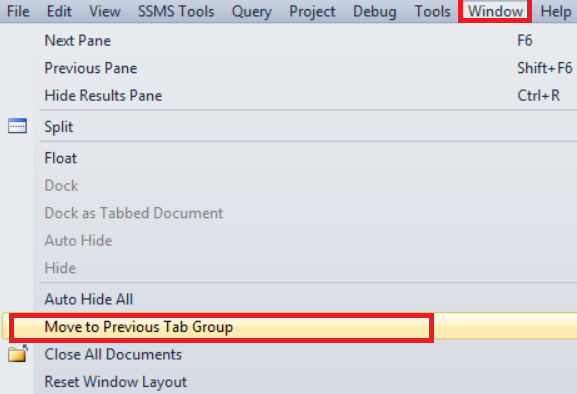 To see the Multiple queries and result windows, Go to Windows Drop down and choose Horizontal Tab Group or Vertical Tab Group. We have selected Horizontal Tab Group, here is what we will see for our two queries and results after this setting. 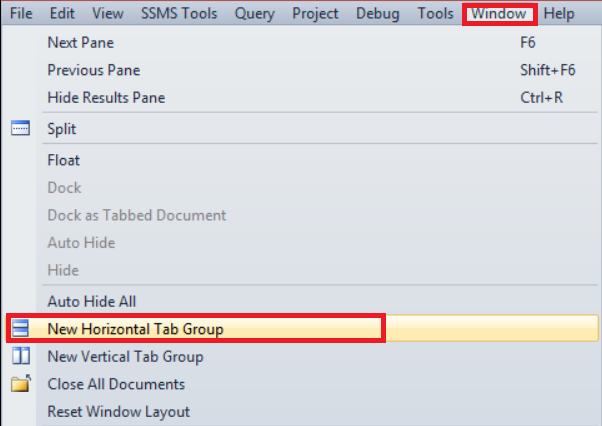 To see the queries and results in vertical , you need to go to Windows and select New Vertical Tab Group. Once you do that you will see the result as shown below. To remove or to get to previous position. Go to Windows and then choose Go to Previous Position.